The Wenatchee World wrote an article on my research! And in case you missed it, check out the article they wrote on the Chargers in August! Be sure to watch the video of them performing “I’m So Alone”! 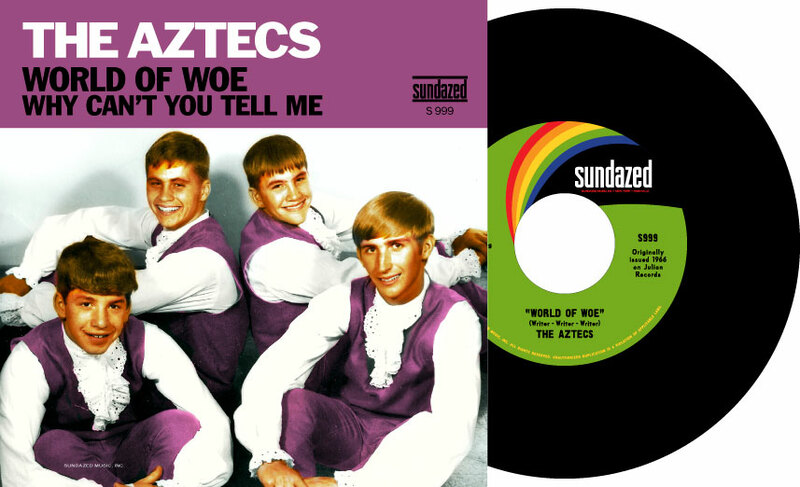 The Aztecs are proud to announce that their record is being re-released on Sundazed Records! Here’s what the 45 will look like! Bill Burns of Billy and the Kids sent me some photos of the group, find them here! I also added photos to the Aztecs and The Chargers’ pages, and added more music to Bob Gifford and Frank Cook’s pages. Dustin: Just read the story about your research online at wenatcheeworld.com. I lived in Wenatchee from 1969-81 and spent more than a few Saturday nights at the Columbia Hotel with Frank Cook and the Night Raiders. The lineup then was Jimmy Cook on drums and Bob Simmons on guitar. Also remember Don Bernier’s antics on KMEL. You have done a great job on this and brought back many good memories.